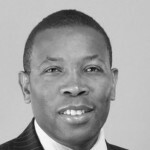 Paul Njaga is CEO at Chase Bank Kenya and is a member of the UK Chartered Institute of Securities and Investments and a Certified Public Accountant CPA(K). He directs the development and implementation of the overall strategy of the Bank, which has a developed a separate product lines for its women clients. He has worked across financial institutions both in London and Kenya for over 16 years. 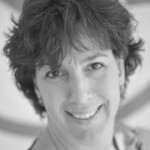 Ingrid Heijmink is the Director Services Sales Western-Central region & Services lead at Dell Netherlands. She is responsible for driving growth in the overall services portfolio spanning from support services through deployment and filled services to consultancy and professional services. 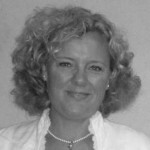 She is leading a team of services sales representatives and executives across Netherlands, Belgium, Ireland, Czech, Slovak and Austria. Jero Omare Ogah is the CEO of Fortis Mobile Money Ltd where he is responsible for driving sustainable growth, innovation and corporate strategy. 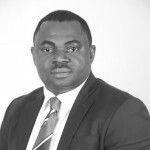 He is a seasoned executive with over 15 years’ experience in Banking Operations, Business Strategy & Development, Financial Inclusion, Digital Payment Solutions, Business Process re-engineering, Organizational Alignment, Project Management as well as Strategic Planning & Execution. 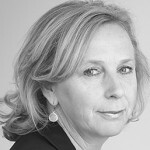 Kristina Ullrich is CSR advisor to Hivos and board member of MVO Platform. She is experienced in advocacy and stakeholder management and has held positions in both the private sector and non profit. Janneke Niessen Co-founder at Improve Digital, is a an award winner, serial entrepreneur, technologist, innovator, and creative thinker. She co-founded Improve Digital, a leading European marketing technology firm, and currently serves as the company’s Chief Innovation Officer. 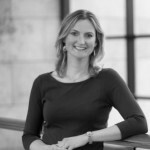 She is co-initiator of InspiringFifty, publisher of Project Prep, columnist for Sprout and LINDA. and serves on the board of UNICEF. 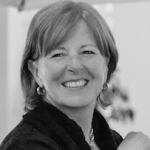 Margaret McGovern (Pymwymic) Put your money where your meaning is community, concentrates on PYMWYMIC international initiatives, with a special interest in incubator social enterprise, mobilizing women’s investments, and healthy food systems. 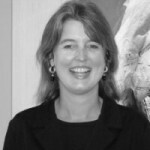 Liesbeth Rutgers – (co)founder of Capital Counsel a consulting firm for foundations and families/entrepreneurs. Capital Counsel designs a roadmap for philanthropy and MRI, offer an overview of issues to consider creating giving and investing strategies as well optimizing financial background, asset structuring and governance. 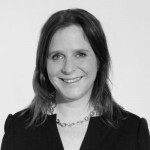 Els Boerhof is partner at Goodwell, an impact investment firm focused on access to finance and sustainable development and member of the board of Directors of Women’s World Banking Ghana. 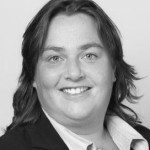 Chantal Korteweg is manager Financial Institutions Latin America and the Caribbean, guiding a team of investment professionals at FMO servicing their clients, financial institutions in Latin America and the Caribbean. She is also involved in the implementation of FMO’s doubling impact and halving footprint ambitions and founding the female network FMO Femmes.